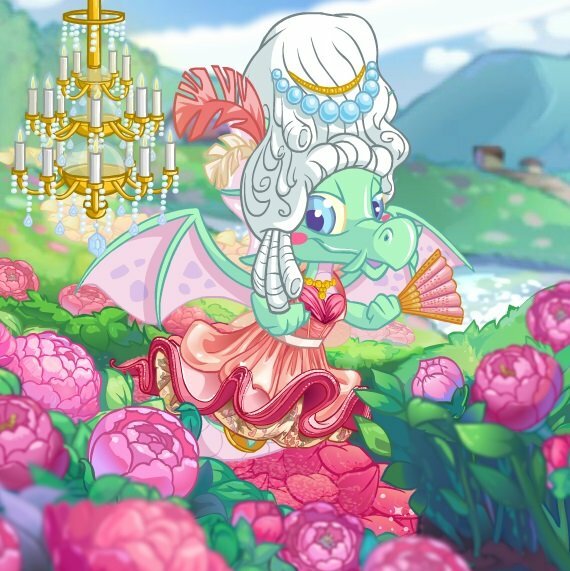 Granny Hopbobbin is hosting a charity drive for Neopians in need, and she needs help collecting some toys. 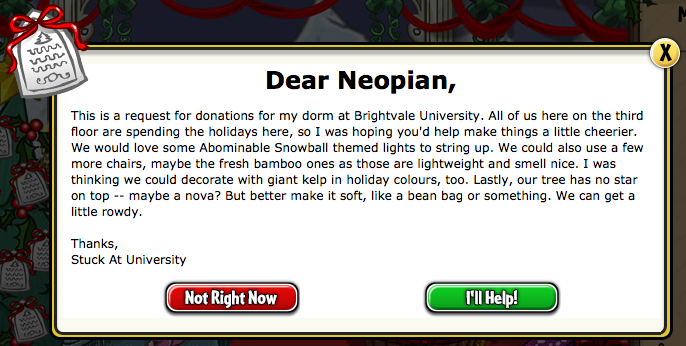 Those who wish to donate can choose to donate either neocash items or neopoint items in the Toy Drive or Adopt-A-Neopian programs. The elderly Acara will be sure to reward all donators for their generosity. 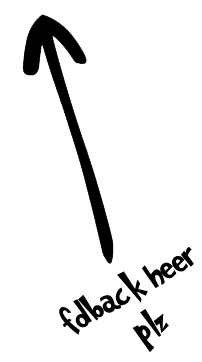 Every day there will be a new letter from a Neopian in need, describing five items they want. 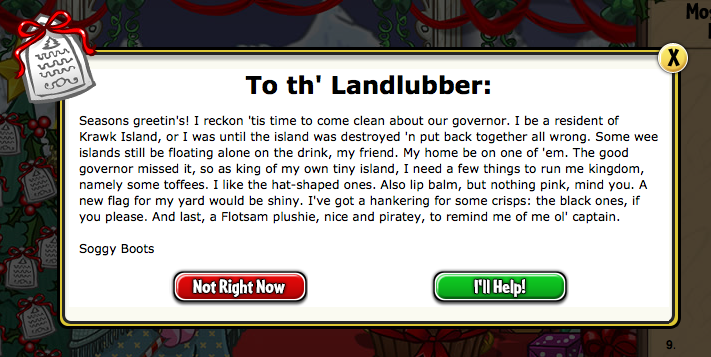 Find the items this Neopian is asking for, and Granny Hopbobbin will show her gratitude by awarding exclusive prizes! Note: All five items donated must be in the same range. Granny Hopbobbin will not accept any toy that is R100 or higher. For those who choose to donate NC items, the Gift Basket Centre is the place to go. For more information, visit the customization guide here. At the end of the toy drive, Granny Hopbobbin sent out neomails to everyone who donated at least once. "Your participation in the Charity Corner event this holiday season did not go unnoticed. Granny Hopbobbin was so delighted with your generosity that she personally sends her congratulations, along with 150 NC and 2000 NP. You have made an old Acara very happy." "You made the top 10 Most Generous Neopians list! Granny Hopbobbin was amazed by your generosity during this Toy Drive. She thought it best to send a special congratulations, along with 1000 NC and 10,000 NP. She admires your energy, young Neopian!" NOTE: The top 10 list award appears to be glitched right now. We will update the prize list as more information comes.